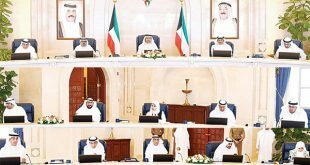 KUWAIT CITY, June 5, (KUNA): The parliamentary legal and legislative affairs, during a meeting on Sunday, approved amendments on some provisions of the Law 2/2016 on establishment of the Public Authority for C o m b a t i n g Corruption. 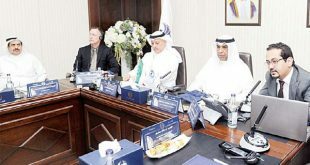 The committee chairman, MP Mohammad Al-Dallal, said in a statement these amendments would solidify the authority and enable it accomplish its tasks and render its performance compatible with the UN Convention against Corruption. 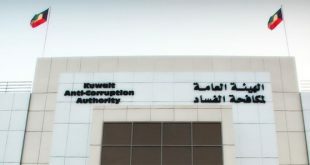 Among the modifications were changing the authority name to: “Authority for Boosting Integrity and Combating Corruption,” and trimming number of the board of trustees members from seven to five. He said the committee approved a parliamentary proposal to nominate chairman of the board of trustees and his deputy by the cabinet, to be endorsed by the parliament in an in-camera session. The cabinet would adopt the remaining members. The modifications empower the board of trustees with a role in dealing with reports; such referring them to the public prosecution, forming panels for scrutinizing financial status, adopting the by-laws and mapping out a national strategy for combating corruption. The board of trustees will be empowered to adopt the executive laws, or laws of the authority to avert delay in issuing executive laws, as happened before. 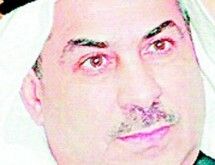 Al-Dallal said the authority bylaw delay in the past resulted in “internal conflicts and disputes” and prompted MPs to threaten to grill the premier on charges of being late in issuing the executive law.